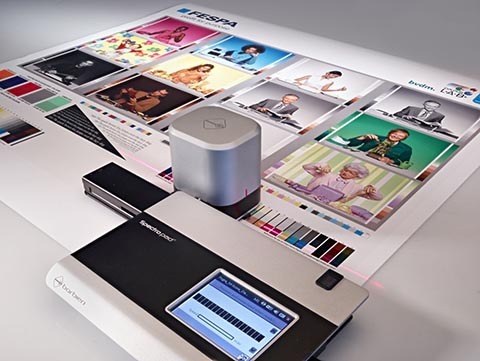 FESPA announces the conference programme and expert tour times for its new Colour L*A*B* feature at this year's FESPA Global Print Expo, designed to help visitors review and improve colour management practices in their print businesses. Located on the show floor (Hall B4, Messe Munich, 14 - 17 May 2019), the initiative is part of FESPA's Profit for Purpose programme, which invests in delivering technical education and promoting operational best practice for the global speciality print community. The Colour L*A*B* showcase will include a host of exhibitors such as Adobe, Barbieri, EFI, Eizo, HP, Just Normlicht, Pantone, Techkon and X-Rite, displaying their key colour management solutions - from calibrated monitors to colorimeters, spectrophotometers, viewing cabinets to software and colour systems for the wide format and graphic arts markets. Paul Lindström's presentation will discuss the subject of extending colour gamut for digital wide format, while Laurel Brunner's will focus on colour management as a fundamental part of process control and automation in media workflows. Mike Scrutton will be treating his session as an insider guide to using colour in Creative Suite, covering file creation in Adobe CS, as well as tips and tricks on how to produce files correctly at the pre-press stage. Dr Andreas Kraushaur's presentation will give an overview of PSD - Process Standard Digital, a standardised procedure introduced by Fogra for the creation of digital print products - while also elaborating on how an improved knowledge of colour management can help PSPs (print service providers) manage customer expectations. The half-hour seminars will run daily between 11am - 4.30pm on the 14th, 15th and 16th May, and between 11am - 3pm on the 17th. Graeme Richardson-Locke, Technical Support Manager, FESPA says: "The Colour L*A*B* tours will offer PSPs an interactive experience that will help them build the knowledge, competence and confidence to make the most of the latest management tools available and achieve consistent colour throughout their production. "There is a strong demand within the community for expert guidance and education when it comes to colour management and we hope that the seminars along with the guided tours offer visitors the knowledge required to implement processes in their own businesses. Colour L*A*B* is a truly innovative platform for a FESPA event and we are confident that it will provide visitors with the insight and added value they have come to expect from the show."